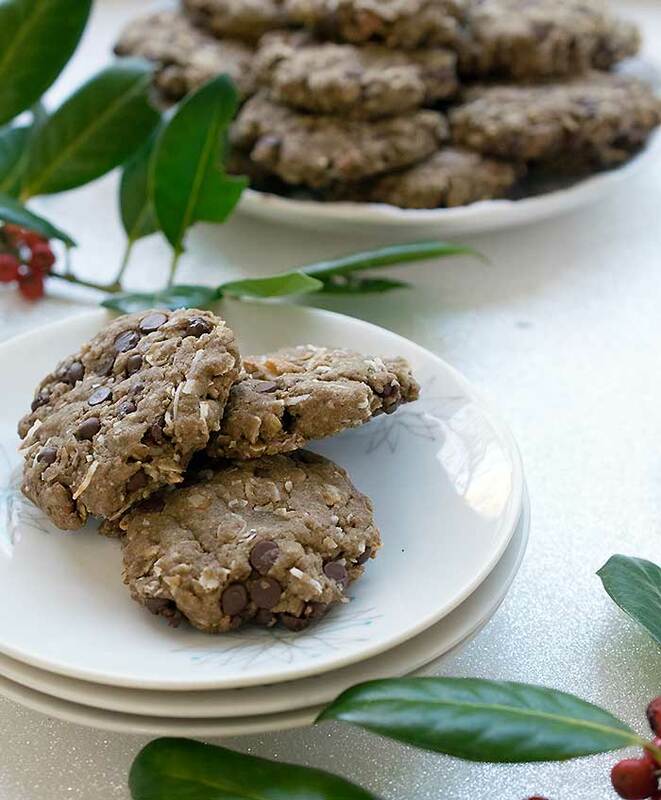 Sure, you could make these Gluten-free Teff Chocolate Chip Cookies with Pecans anytime of the year. 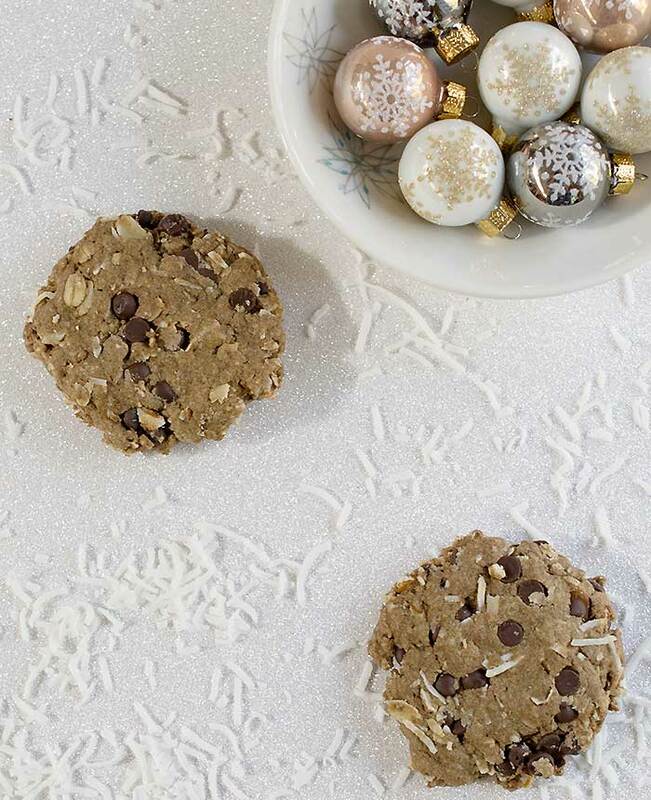 But it’s the time for cookie swaps and adding in a few sweets, so why not make it a little healthier? I just got back from my last trip of the year, and I’m ready to settle in for the holidays. We were in New Orleans for Shiftcon, a green conference for bloggers. There were tons of holiday lights and decorations everywhere I looked. There was even a special holiday drink menu at a tiki bar I went to. It was impossible to not get the holiday spirit! This recipe does contain coconut oil, and I know some of you avoid all oils. At this point, I haven’t tested it with applesauce or pumpkin as an oil replacer with teff flour. I will try to make a batch soon and will update this post. 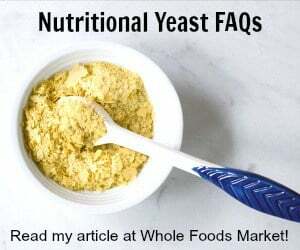 If you try an oil-free version please let us know in the comments if it was a success or failure. I want to try making a thick date paste, using less sweetener or maybe stevia, with stevia-sweetened chocolate chips to make this a cookie for everyone. 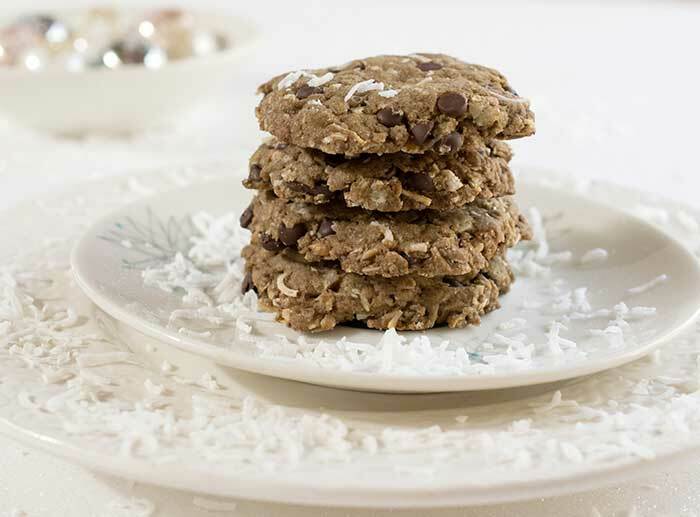 For now, it’s gluten-free and vegan, plus you could customize them to be nut-free or leave out the coconut and add dried fruit. Happy almost winter! Cookies are a great anytime treat. I love hosting cookie swaps around the holidays too. 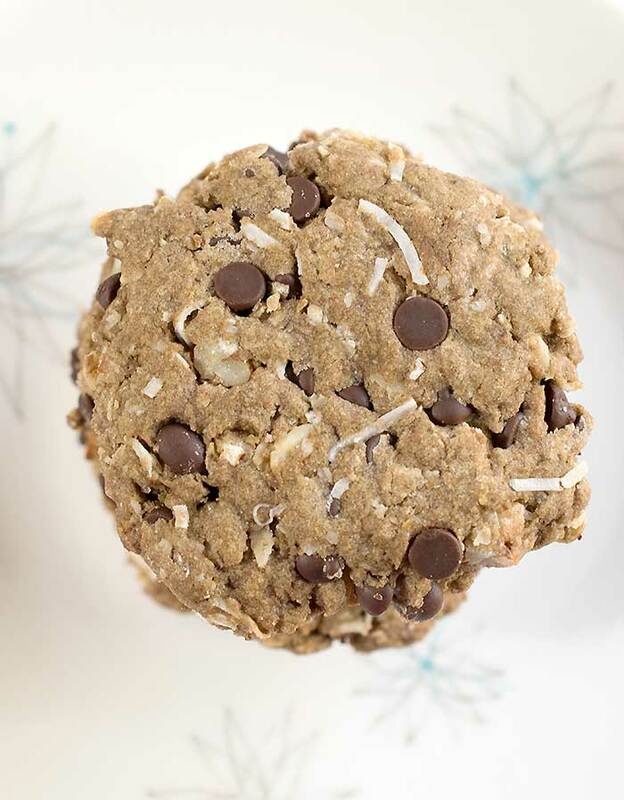 Everyone loves chocolate chip cookies, and these are gluten-free and vegan, making them perfect for people with allergies. You can leave out the pecans or coconut to make them even more allergy-friendly. You could even add in your favorite dried fruit too! Mix the dry ingredients together in a medium-sized mixing bowl. Then mix the wet ingredients in a small mixing bowl. Add the dry to the wet and mix well. It’s very thick so you may need to use your hands to knead in the add-in ingredients. Use a 1 tablespoon scoop to get a portion of the dough, place on the prepared cookie sheet, and press down with the back of a spatula to flatten. Repeat with all the dough. Bake for 12 to 13 minutes, or until the bottom of the cookies are brown. Please do make an oil-free version as I am someone who avoids all oils. I’m getting ready to order some teff flour for the first time, and I’d like to know how an oil-free version comes out. I will measure the weight the next time i use it. I would say fluff it and don’t pack it down. Hi Kathy! Can teff flour be used equally as a flour substitute or are other ingredients needed? Thanks and your new book is on my Christmas wish list! I think it depends on the type of baked good. I’ve had successes with brownies, cookies, and gingerbread. But to do a yeast roll I added a few other ingredients. I am so excited to try baking with teff flour! I’m gluten-free, but also allergic to almonds, so it’s always exciting for me when a GF recipe doesn’t include almond flour! Oh my goodness! These cookies have it ALL! I love coconut in a dessert. These cookies were so delicious! This recipe is what I have been looking for, as it doesn’t contain almond butter, like most vegan teff cookie recipes online.